There are several things that you need to be aware of and will need to be careful when taking Orlistat. Make sure that should you miss a dosage that you do not double up on your dosage. Since the fat that is not absorbed due to the Orlistat is removed via your stool, taking too much of the medication can heighten your side effects, or may even cause several of the side effects to occur that you were not having problem with before. It is always wise to consult a doctor when you are looking into taking Orlistat. There are some medications that can react with Orlistat and you will need to make sure that they are not taken within the same timeframe in order to prevent blending. If you already have a condition like colonitis or IBS, then Orlistat is most likely not the best path for you to use. Most doctors do not recommend taking Orlistat if you have under a BMI of 27, and this is simply due to the fact that individuals do not need to lose a decent amount of weight if they only have a BMI of fewer than 27, and will most likely not need the assistance of Orlistat. There are several types of serious side effects that have been associated with side effects. You may notice spotting or a discharge in your underwear. Some people notice systems associate with IBS such as an urgency to make a bowl movement. A change in the regularity of your menstrual cycle. 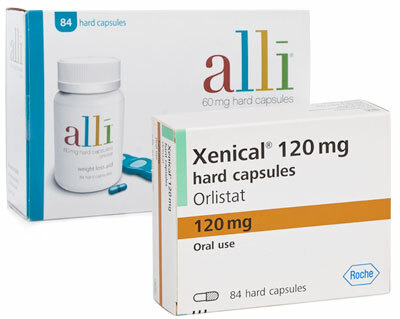 Warning some of the Orlistat side effects are more associated with an allergic reaction.